Enter a search term into the search box below. Build a bucket of specific search results from multiple search engines. Send your bucket to friends and colleagues, or share amongst your social networks. The modern Mothers Day is celebrated on various days in many parts of the world, most commonly in March, April, or May as a day to honor mothers and motherhood. Get 50 to 90 percent off the best stuff your city has to offer. 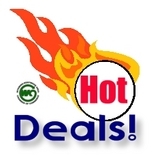 Hot deals in Islamabad, Lahore, Karachi and many other cities. Get your groupin.pk today. Copyright © 2011 Social Buckets. All rights reserved.